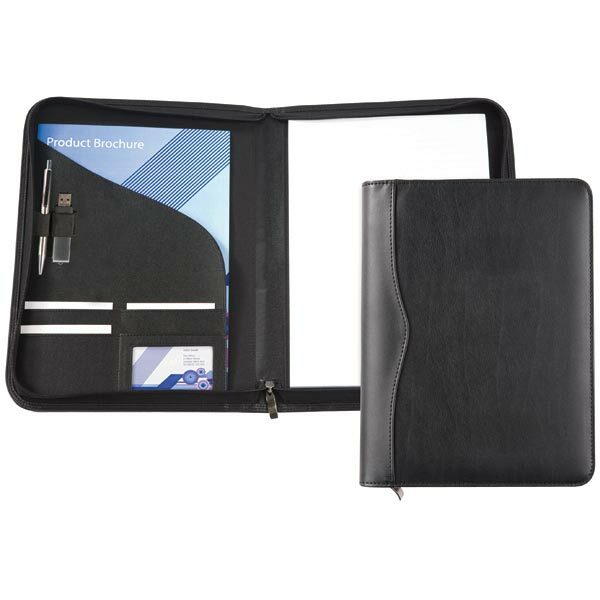 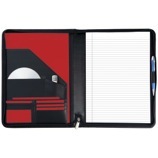 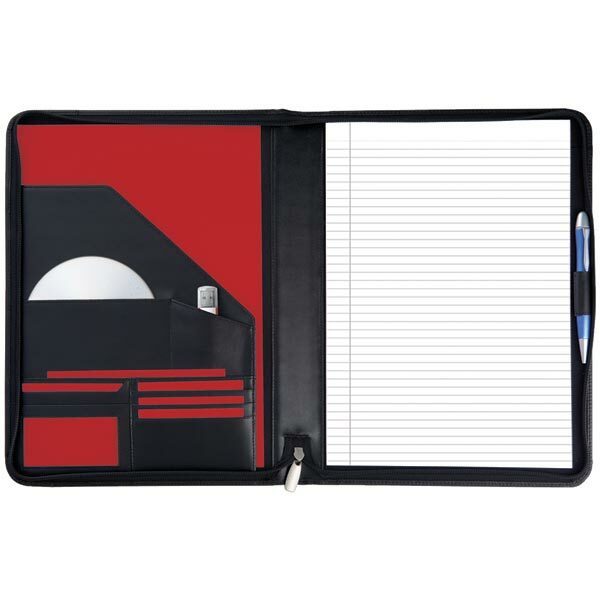 Stylish fabric folder made from REACH compliant 70d Polyester c/w contrast stitching. 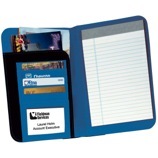 C/w business card holder 20 page recycled paper notepad & USB Holder. 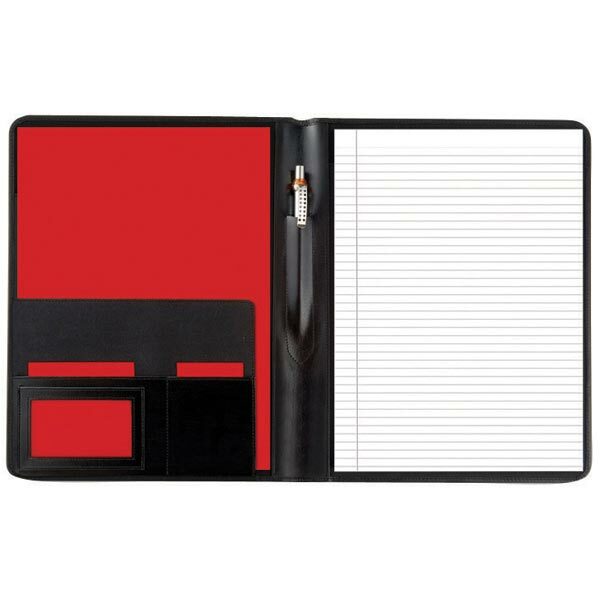 Neoprene-feel A5 folder innovative Slim-line design made from flexible and durable vinyl available in 8 vibrant colours. 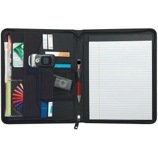 Complete with A5 writing pad intermal business card holder and high-quality Senator pen. 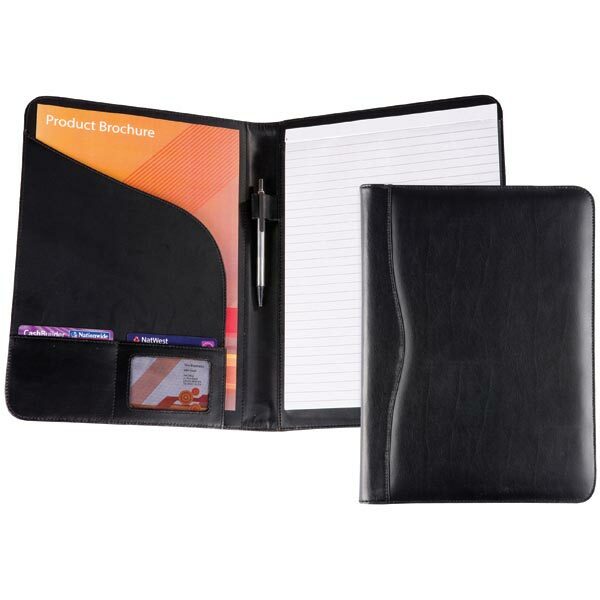 Budget imitation leather A5 folder made from lightly grained REACH compliant PVC. C/w USB holder & 20 page recycled paper notepad. 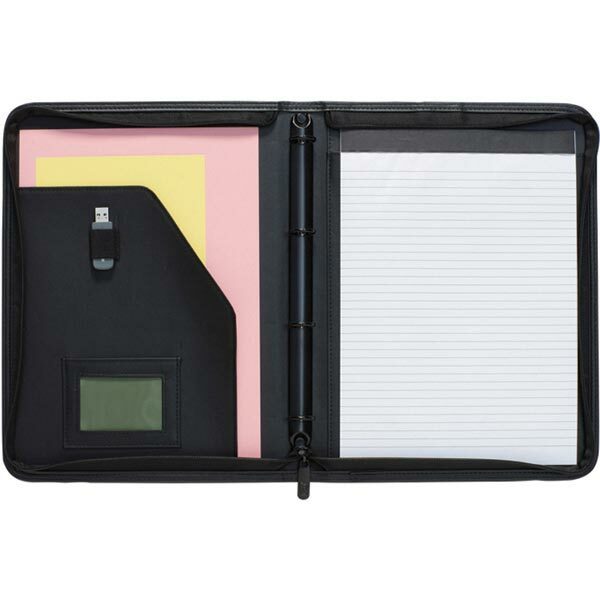 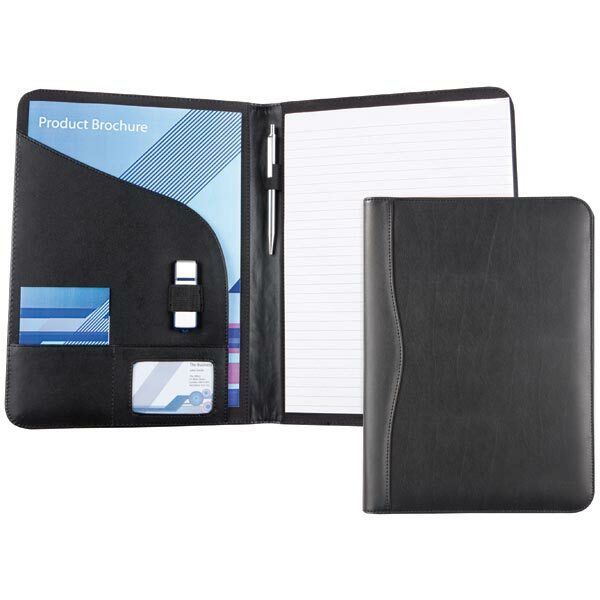 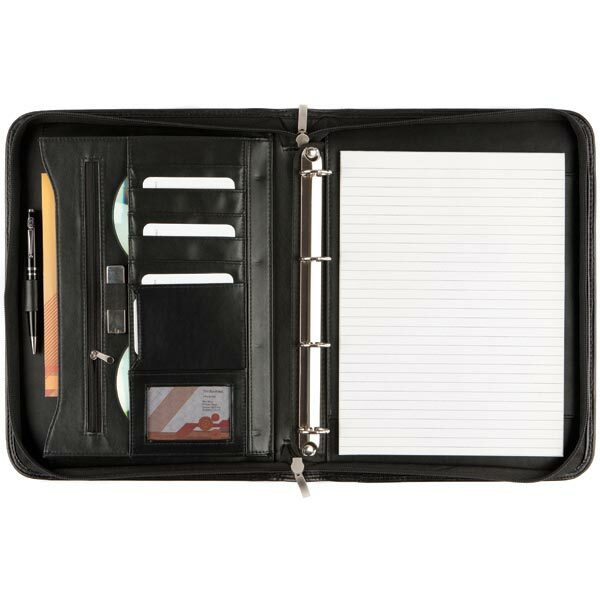 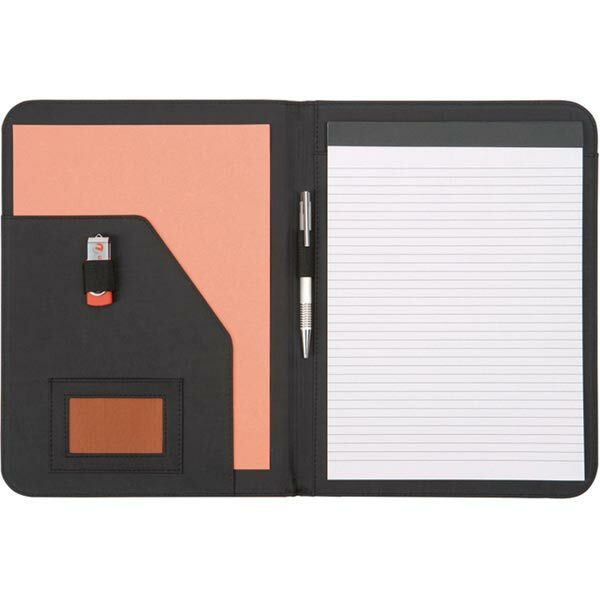 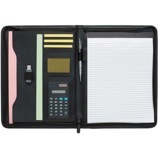 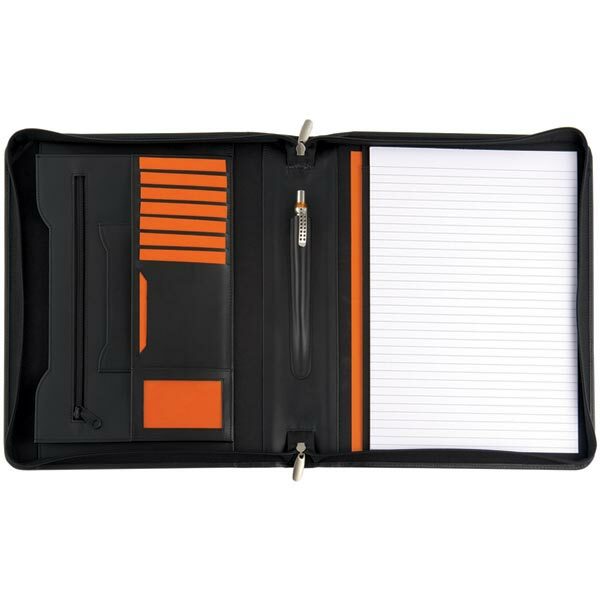 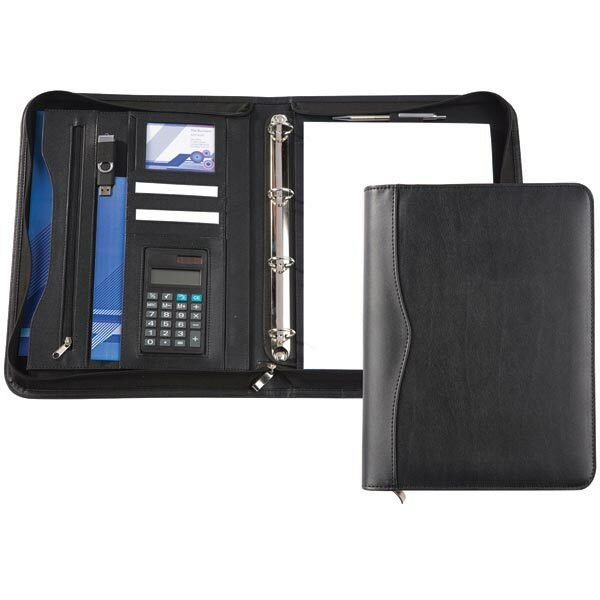 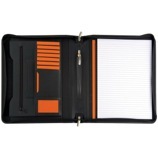 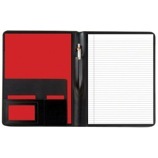 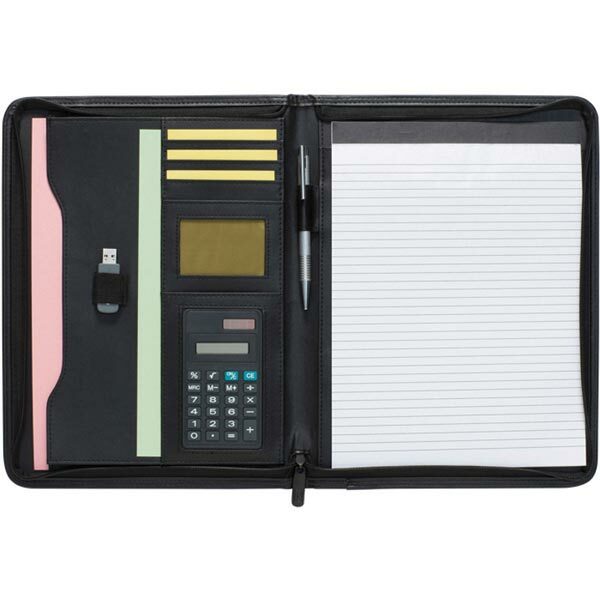 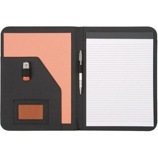 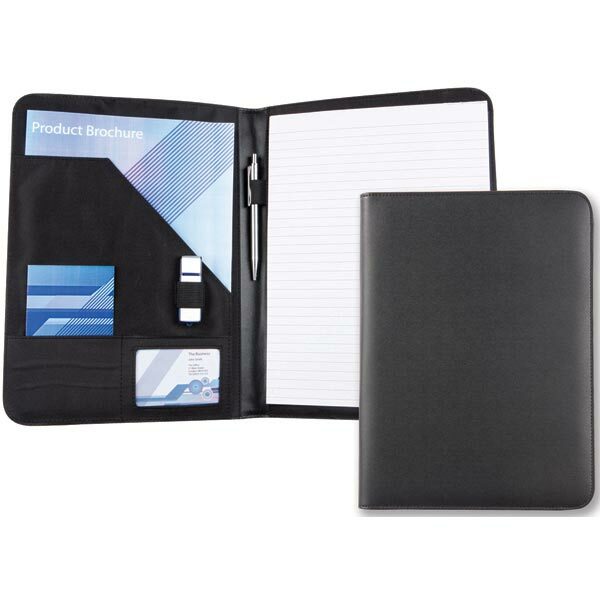 Zipped budget imitation leather A4 folder made from lightly grained REACH compliant PVC. 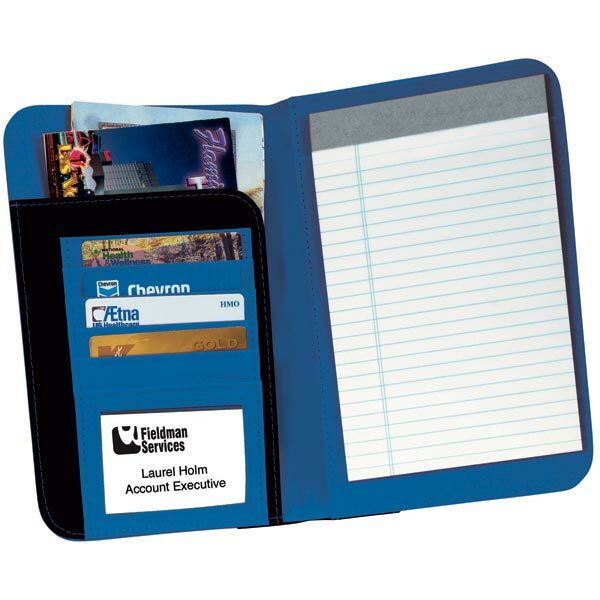 USB holder 8 digit calculator and 20 page recycled paper notepad. 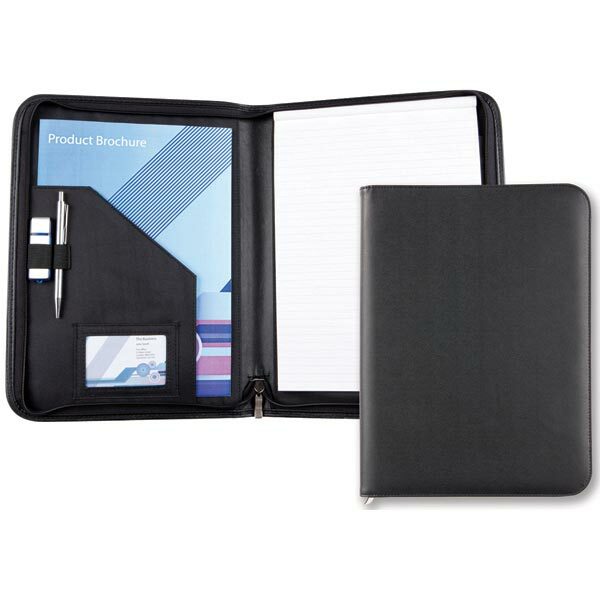 Zipped budget imitation leather A4 folder made from lightly grained REACH compliant PVC. 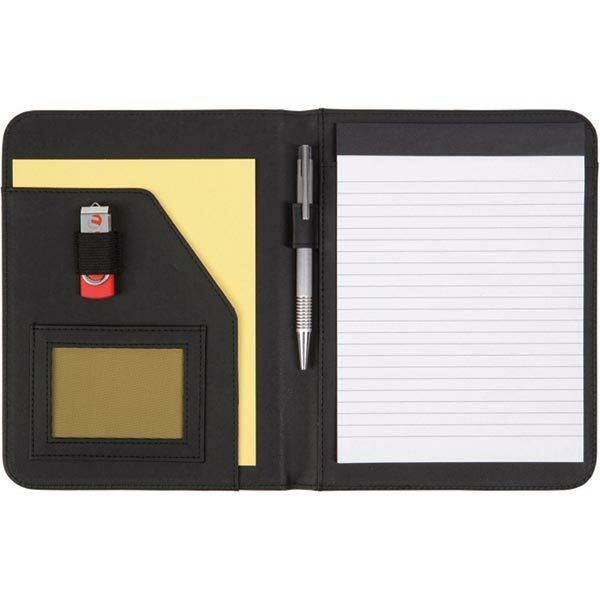 USB holder 4 ringbinder and 20 page recycled paper notepad. Upgraded Genuine Leather features business card and CD pocket n plus a pen pocket. 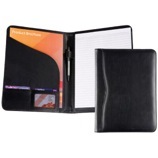 Padded covers and nylon/leather contrast pockets. 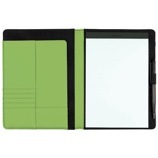 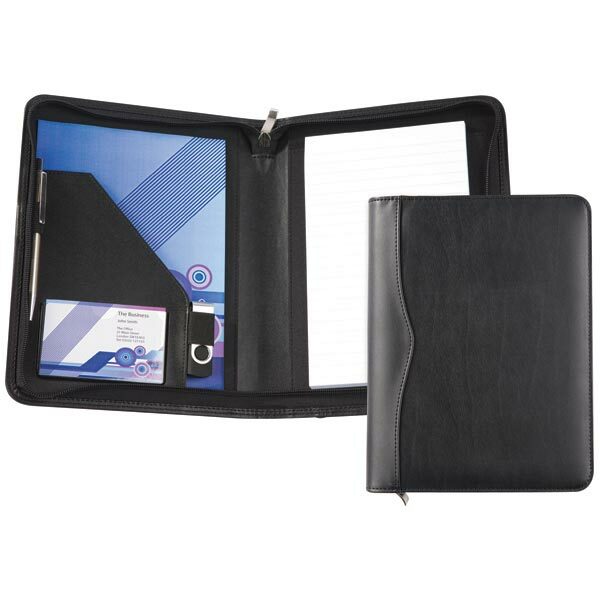 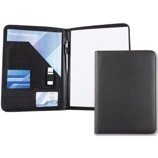 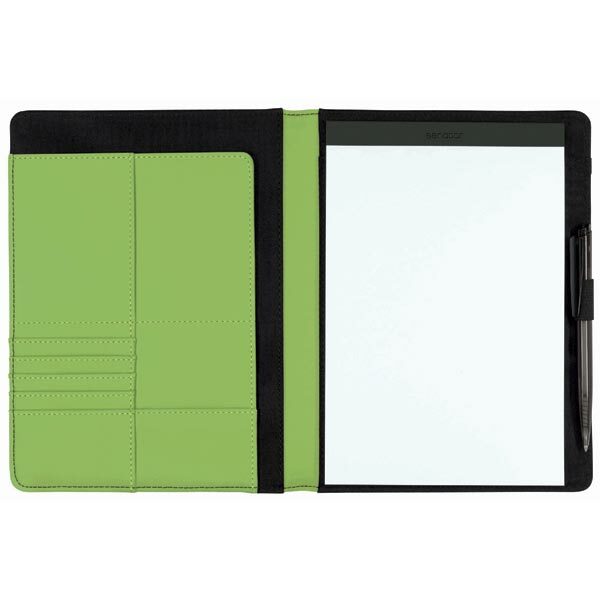 Soft smooth water resistant leather A4 zipped folder. 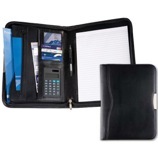 With document pocket business card and credit card pockets pen loop and useful CD and USB stick pockets. 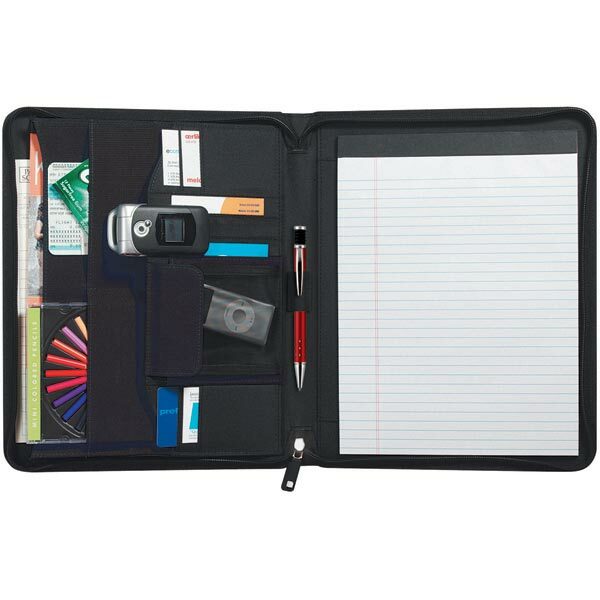 (Pen not included). 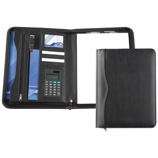 Complete with A4 pad and individual carton.